Over 400 full color, glossy pages. IMPORTANT: For shipments to other countries, or to order 5 or more books, please contact orders@yeeshungga.com. Take a journey back in time to discover the origins of the Shaolin Five Animals, while uncovering the fighting techniques and philosophy of the art of Hung Ga Kuen. The Authentic Teachings of Wong Fei Hung: The Five Animal Form, by renowned author and martial artist Master Frank Yee (Yee Chee Wai), firmly establishes the reason why this Traditional Chinese Martial Art has stood the test of time. From its origins in the Ching Dynasty, Hung Ga has been used to fight invaders when lives have depended on it. Applying the universal principles as set forth by the ancient Book of Changes (Yi Jing) and used by a multitude of fighting arts, "to change and be versatile" is the only way to survive against a stronger foe. The combination of the Five Animals — Dragon, Snake, Tiger, Leopard, and Crane — is how this art was as historically versatile and practical in combat as it is today. Never has a book included so many clearly explained details of the form, fighting techniques, theory and philosophy of Hung Ga Kuen's Five Animals. Master Frank Yee guides you through this incredible form illustrated by over 2000 color photographs of the complete set and the fighting applications, as well as supplemental solutions for the "ever-changing" combat situations. This book will be a valuable resource for practitioners of Hung Ga Kuen or any martial art. Master Frank Yee has over 57 years of experience in the art of Hung Ga Kuen. 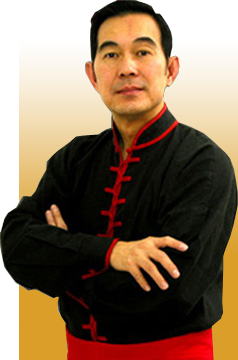 He established Yee's Hung Ga International Kung Fu Association in 1974 and since then has spread the art across the world, with disciples teaching in the USA, Canada, Europe, South America and the Peoples Republic of China. Featured in both national and international publications for over 30 years, his writings have always been well received and brought about a yearning for more. Answering that call, this is his first full publication. It is destined to become a treasure in any library.